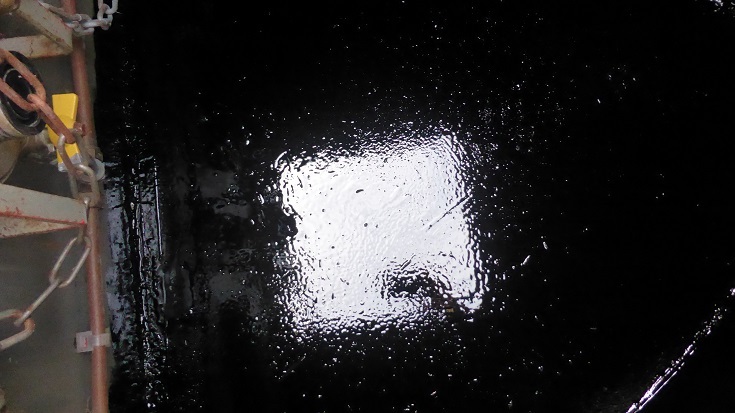 A bit of a wet day, Monday. So we stayed put until it cleared after lunch and then set off. Bit unusual for us. An afternoon cruise. 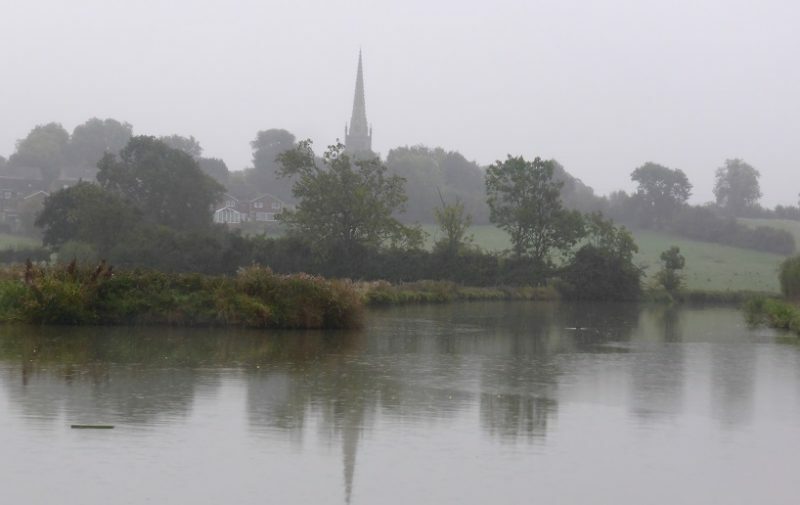 It was still a bit drizzly but we chugged on into Braunston, took on water and optimistically waited for another boat to turn up, to partner us through the 6 big locks. But alas, none came. 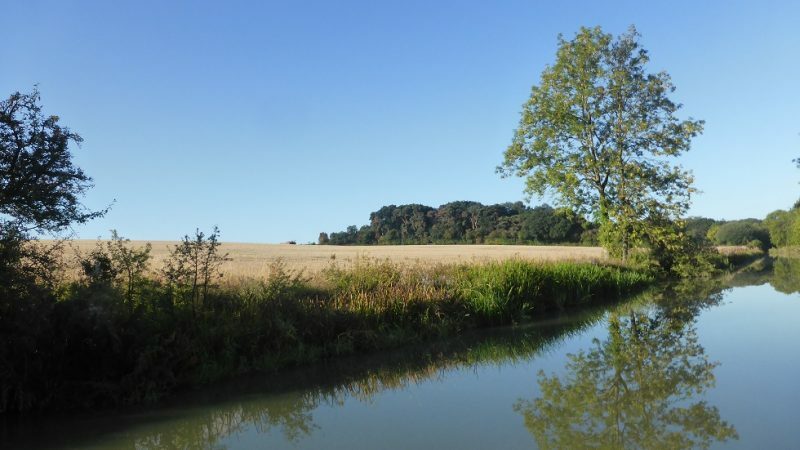 It was a lovely quiet day, so very unusual for Braunston – this national hub of the waterways. 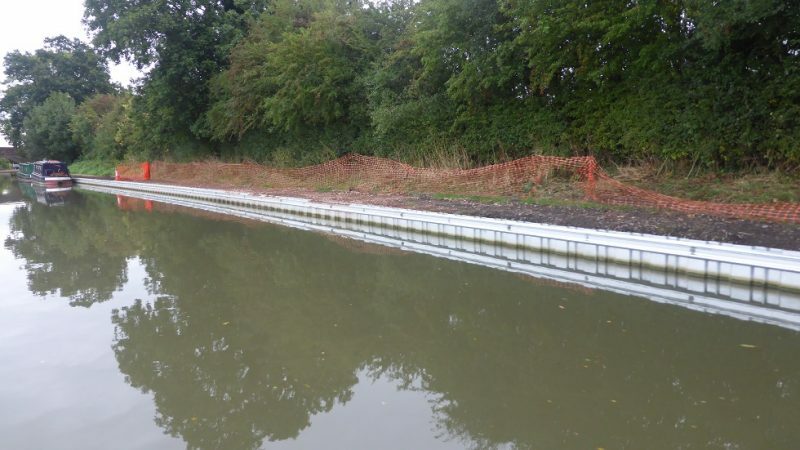 So, we did the locks ourselves, nice and slow. A few boats came down and so all the locks were set in our favour. 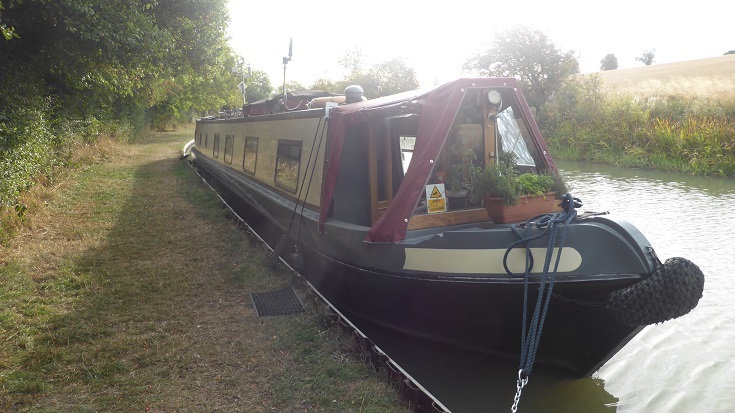 Met a hire boat with a Toby lookalike who was also a name-a-like – Toby! Yes, Toby3 as we had to call him. We ventured into the tunnel – again all on our own, which was nice. 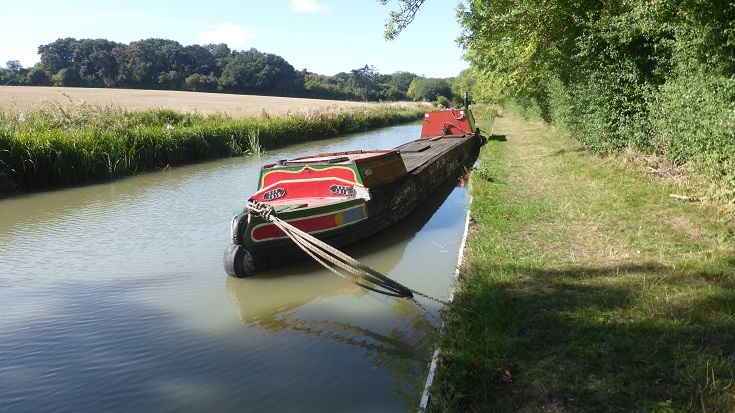 On past the Norton junction and up to Welton Hythe to stop for the night. 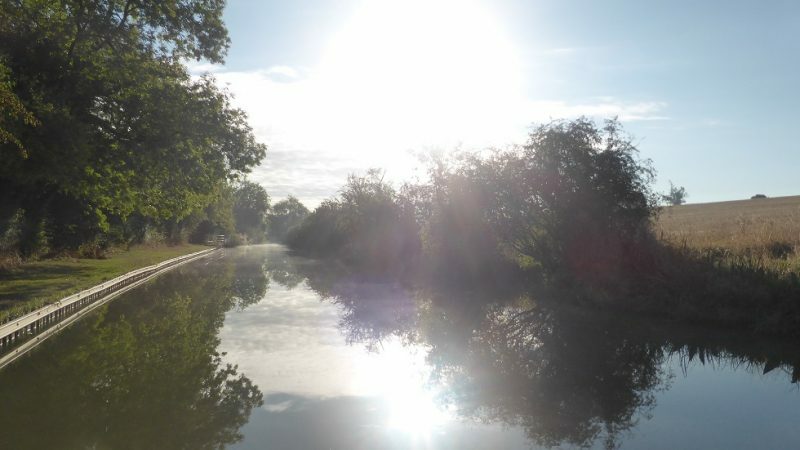 Up through the Watford locks – luckily the first boat and so up we went and on to the marina at Yelvertoft – quick pump out, well it has been 6 weeks! 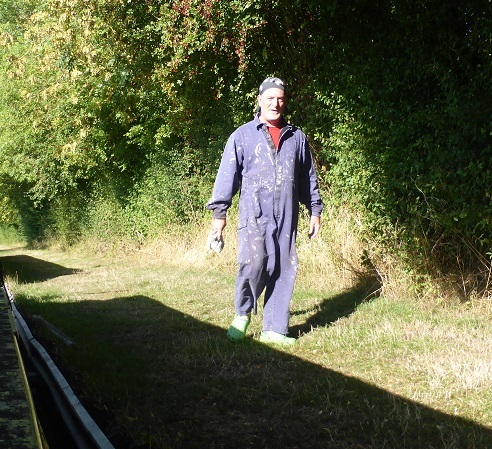 And on to bridge 27 for some remedial painting. 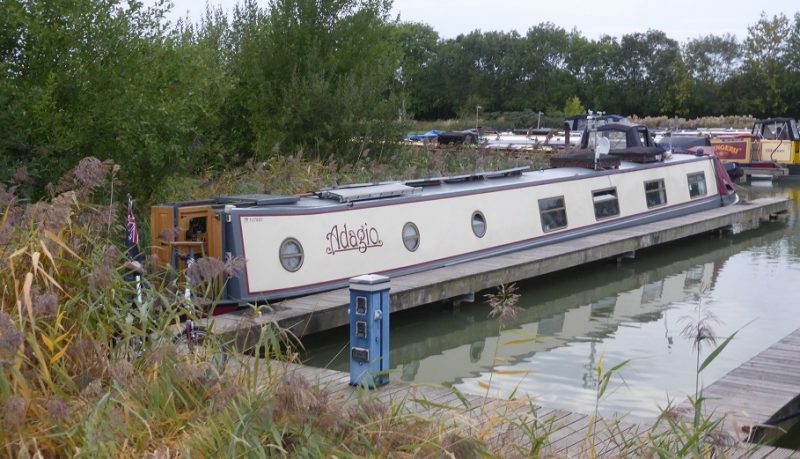 It is a lovely spot – it ticks all the boxes – the right orientation for the solar energy, good phone signal, 4G signal & TV reception plus a pocket wood for the dog and just quiet. 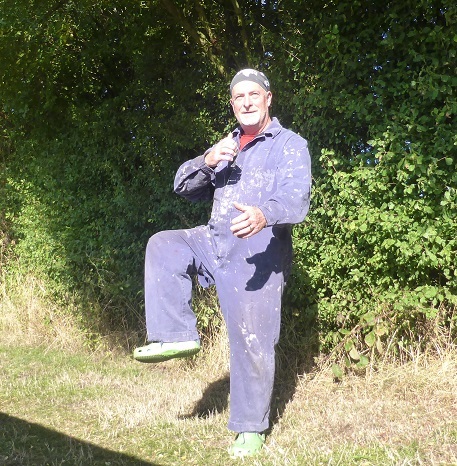 Steve dons his coveralls to do the bitumen painting – what a gay figure in his green crocs, red vest and bandana hat! Time for some Tai Chi? 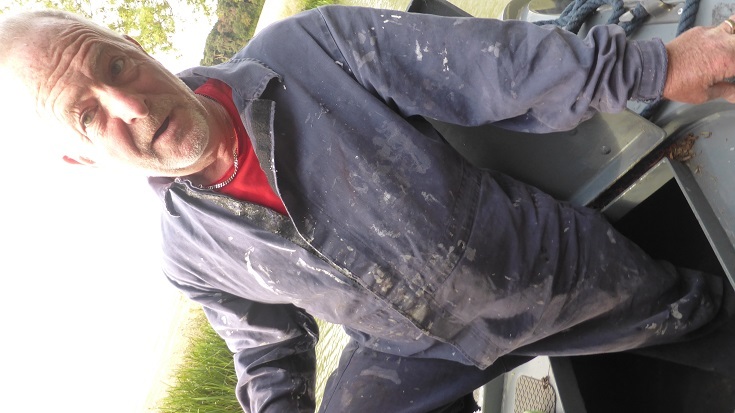 This boat, Dane, was sort of afloat when we arrived but it was leaking badly and slowly sank. A shame the owners have left it this way. 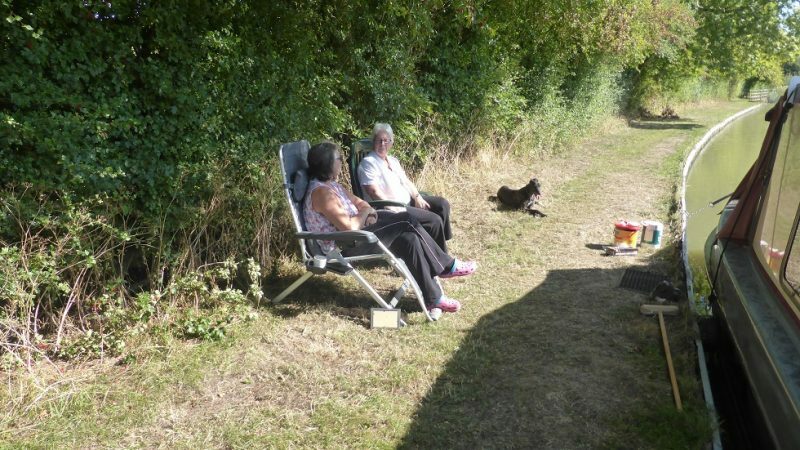 We were joined by Gail & Jess on Sleepy Otter, chance to do some catching up over a cuppa. Simon steamed along too – so more cuppas required! Cosy. 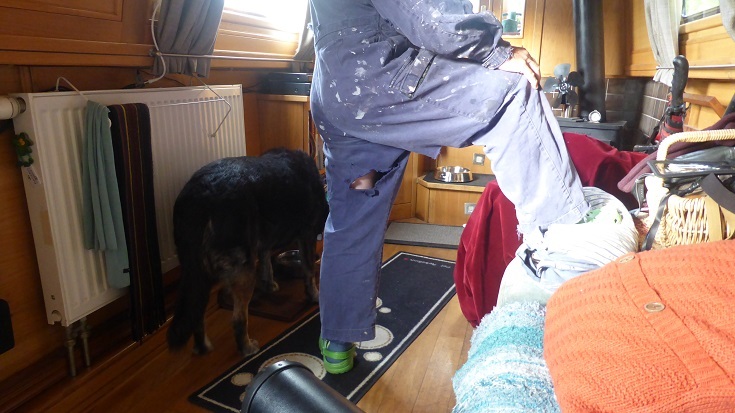 Hmm, that mouse from some years ago, ate lots of our stuff, including Steve’s coveralls – hence the odd air conditioning he now has! 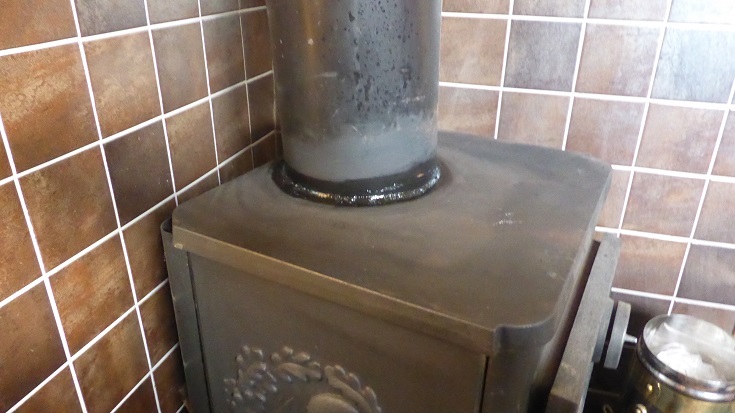 Gail gave us some high temperature silicone sealant for the chimney – did the job. Cheers! 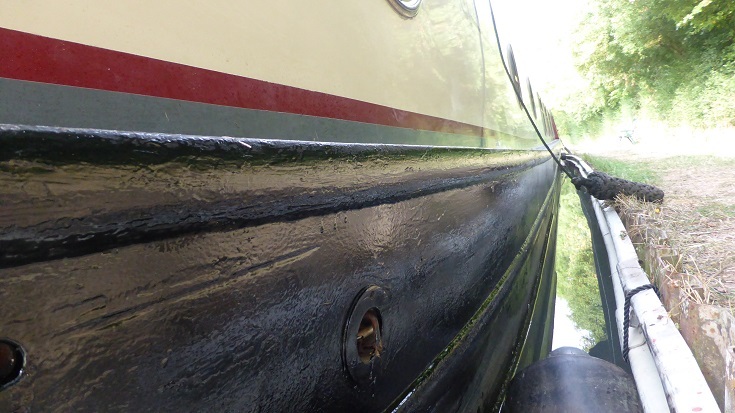 Nice, shiny and re-blacked boat – all the “lock rash” covered over. Here’s the before picture . 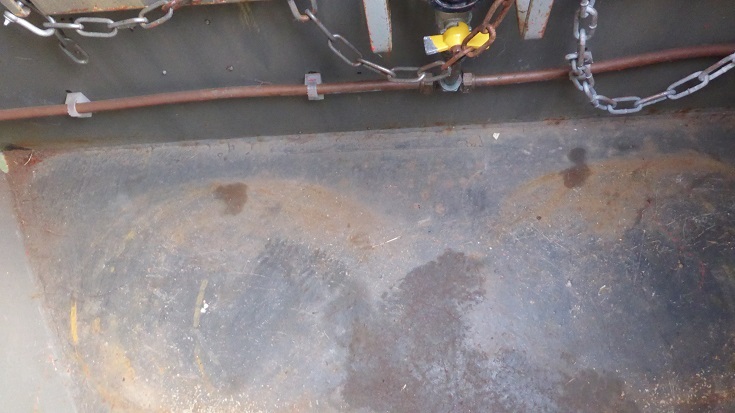 . .
And here’s the after picture. 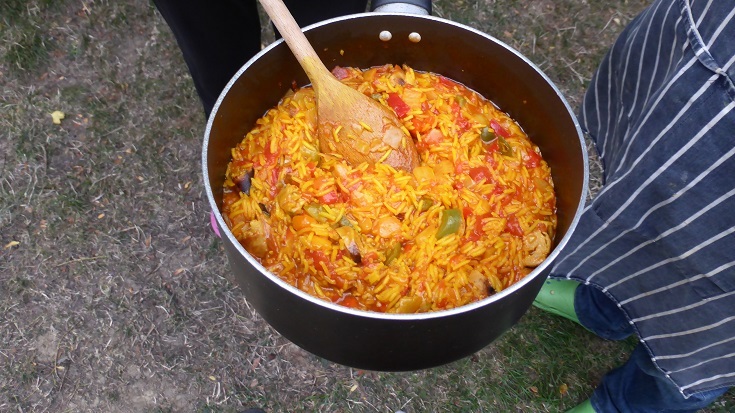 We introduced Gail to Paellero – a Spanish spice mix for making paella and she adapted it for her veggie dish. Looks good & tasted good too. Saturday and back “home”. Breezy but we got in, backwards with no hassle. 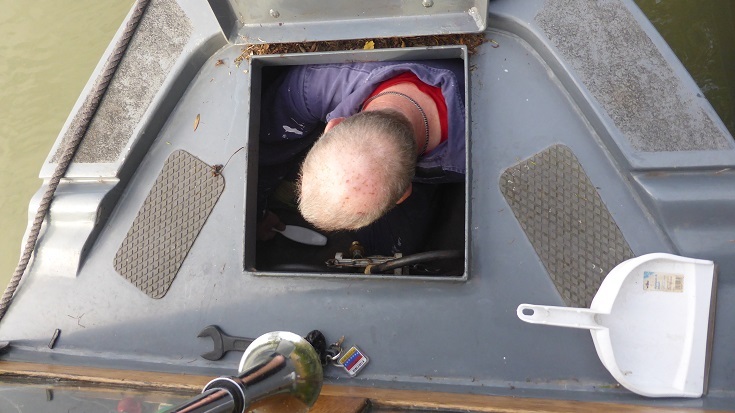 Time to plug things in, put ropes away, change gas bottles and go down the Wheatsheaf for lunch.